Written by Studio1337 on February 10, 2011. This morning, we launched the latest version of the WaterStreetTavern.com. I’m not sure what version this is – I’ve lost count; 4.0 or 5.0 maybe? As you can see, we had some fun creating the concept for this one. I mean, what’s more iconic to a college town than one of those tear-off flyers you see pinned to bulletin boards in laundromats and convenient stores, right? This launch coincides with the announcement that George Clinton (Parliament) will be playing at the Water Street Tavern Sunday, February 20, at 8 p.m. If that doesn’t grab your attention, I don’t know what will! 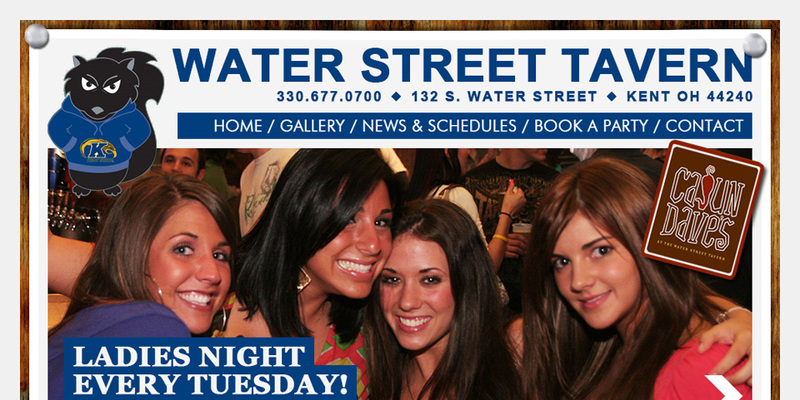 We hope you enjoy using this site as much as we enjoyed creating it – Read more on Water Street Tavern.